The establishment of a Horticulture Department in the state was made in 1989-90. Prior to the establishment of the RAJHANS , due to limitations of limited budget allotment and accounting rules, there was difficulty in producing good quality planting material in the state. Providing quality planting material to the farmers of the State is a major challenge for the Horticulture Department . Traditional cultivation in Rajasthan is now being converted into commercial farming. As a result of this, fruits, cumin, fenugreek, coriander etc. vegetables and medicinal crops have been recognized national level flowers, vegetables and medicinal crops in the state. In the state, now the attention of the farmers is being taken in taking lesser risk crops and more profitable crops. Due to lack of adequate budget on government nurseries, there was a problem in producing good quality planting material. And spending more time in preparing plants on state nurseries. 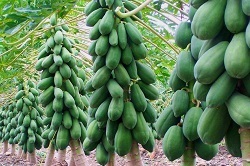 In the Eleventh Five Year Plan, 10 thousand hectares under fruits Planting of new gardens every year was planned in the area, for which an average of 30 lakh plants have to be arranged per year in the state, whereas only 10 to 12 lakh plants were being prepared from the above mentioned deficiencies on the state nurseries. To recruit the demand of the farmers of the state, they also have to buy plants from outside the state. Which has a mortality rate of more than 50 percent. And in the state, due to their lack of clarity, the expected growth in area development was not achievable. Plants purchased from outside were relatively expensive.